It’s finally here—the vintage‑inspired, sought‑after fit in 100% cotton. No more thrifting required. The Mom Jeans from Levi's. Every drop counts, so Levi's aim to use less water. Their designers are constantly thinking of new ways to create the same styles you love while cutting back on H2O, such as updating finishing techniques to require less water than traditional processes. These are made using their WaterLess® techniques. The cheekiest jeans in your closet. Inspired by vintage Levi's® jeans. Hugs your waist and hips, showcasing your best assets. 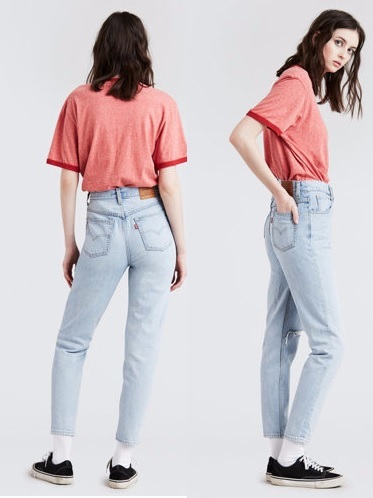 These Mom Jeans are Waterless. 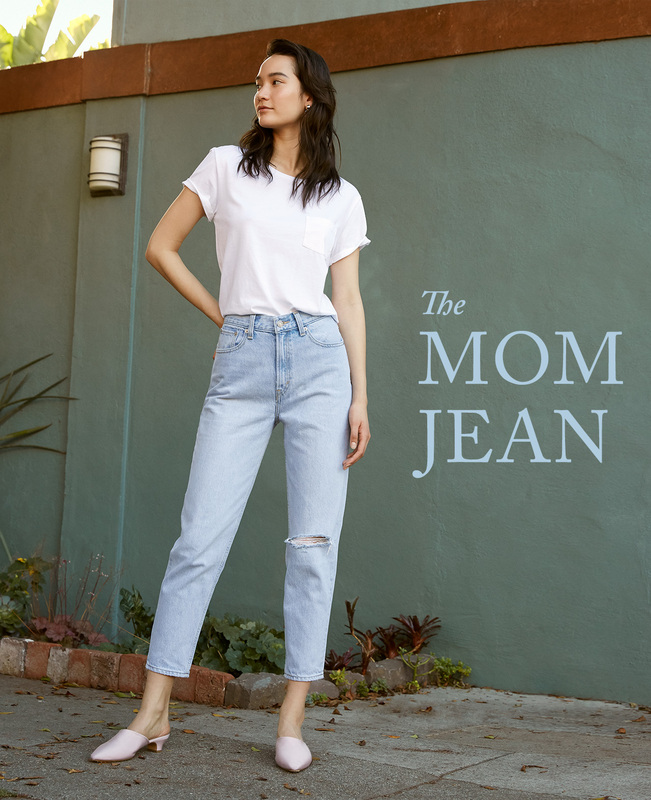 What are mom jeans? Originally considered to be unflattering, but that was before Levi's put their stamp on the concept. Now they are trendy and flattering.